Order your Crane Regent Blue Triple Hairline Half Sheet today from FahrneysPens.com. Fine Pens, Refills & Luxurious Gifts – great prices & fast shipping. 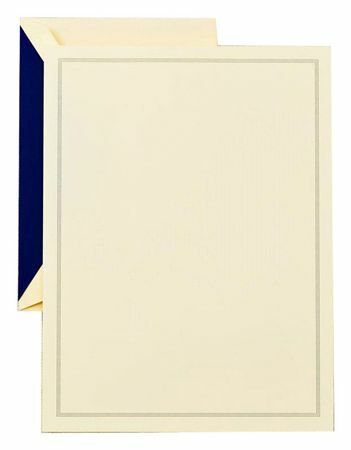 The stately detail of three fine hairlines frames this Ecruwhite Kid Finish® letter sheet. Add a touch of class to your personal correspondence. Heavyweight 100% cotton paper. Matching envelopes.